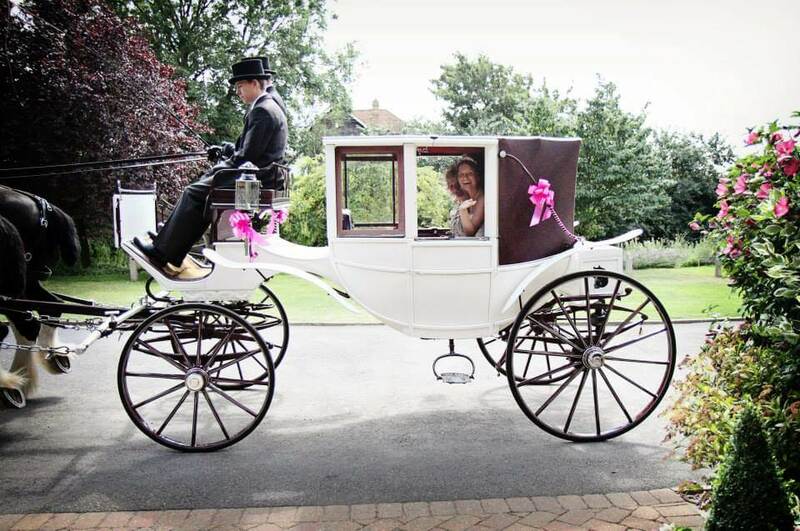 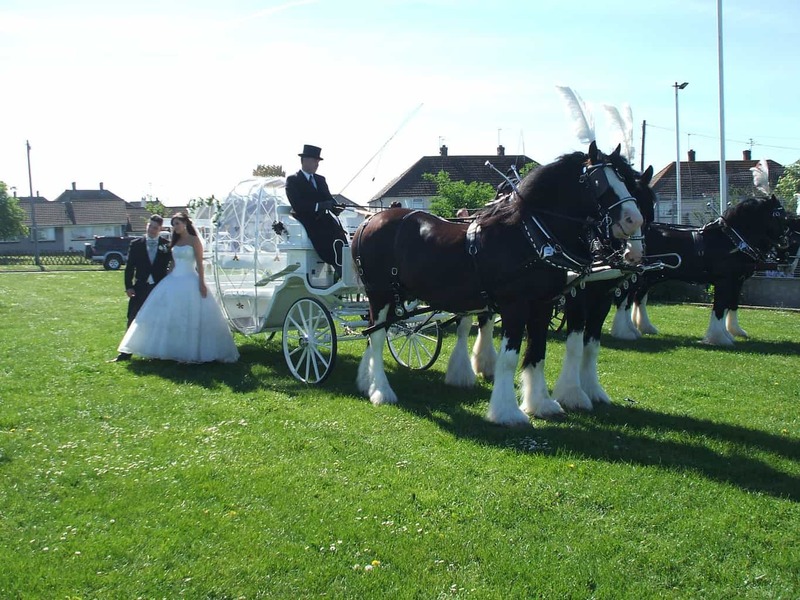 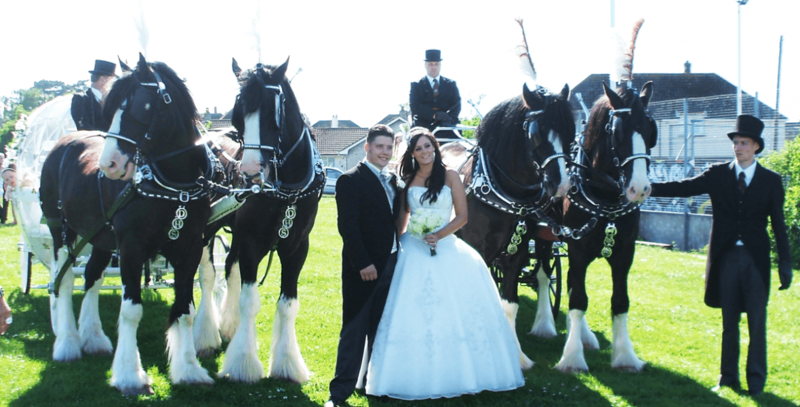 Drayhorse Shires have beautiful White and Burgundy Carriages and Cinderella Pumkpin Carriages available for any special event or occasion. 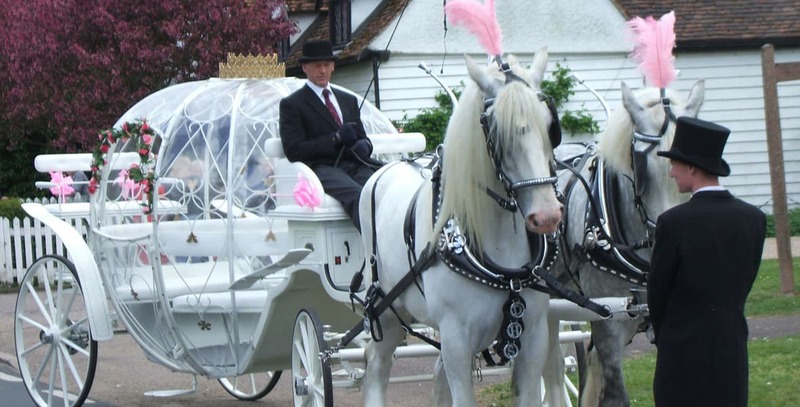 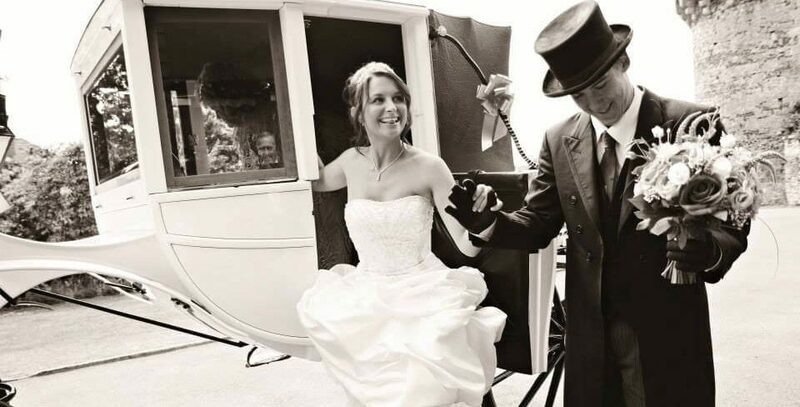 All of our carriages can be fully enclosed for those chilly winter weddings or fully convertible for those beautiful summer days. 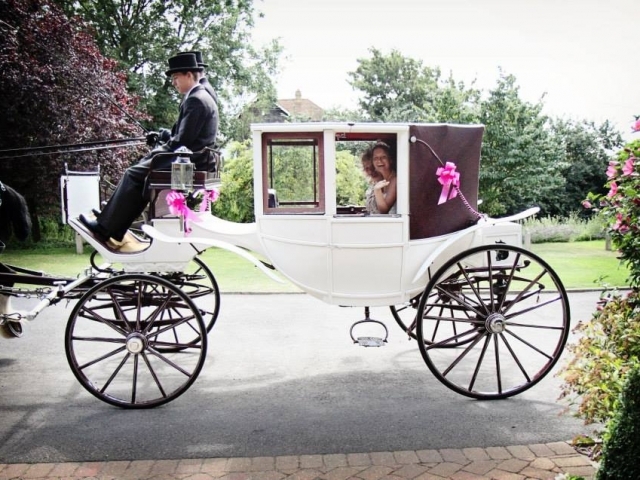 All Drayhorse Shire horse drawn carriages come with a pair of horses with ostrich plumes, two coachmen and ribbons to match your colour scheme as standard. 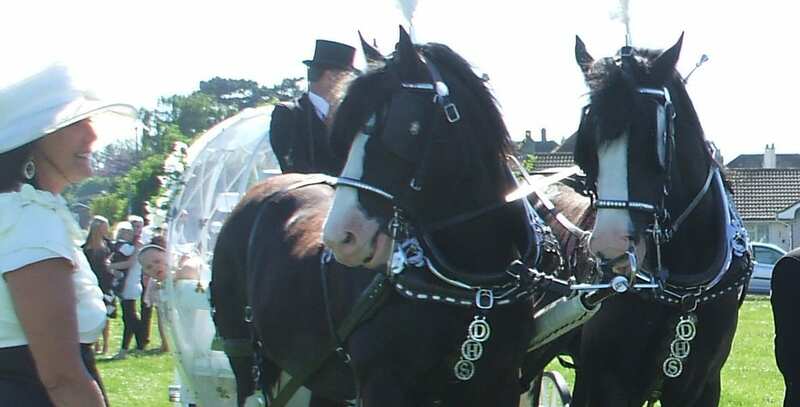 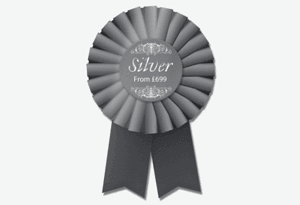 We can also offer horses plumes to match your colour scheme, even the coachman’s ties match! 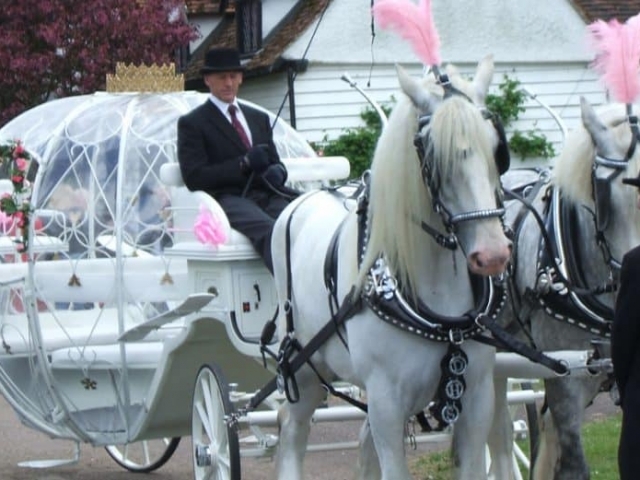 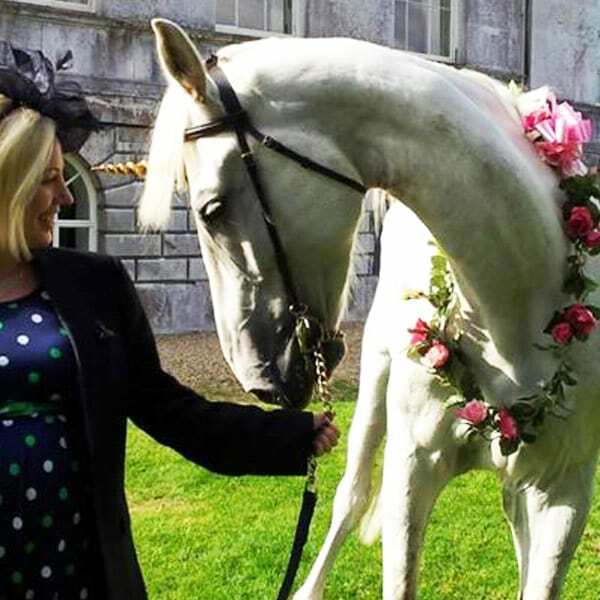 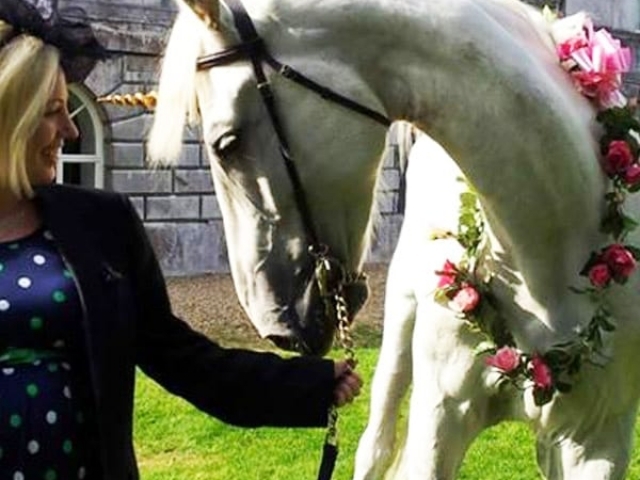 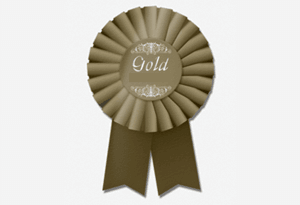 Your Coachman will ensure that the horses, carriages and accompanying staff are dressed to class winning standards and act in a professional manor to suit the occasion. 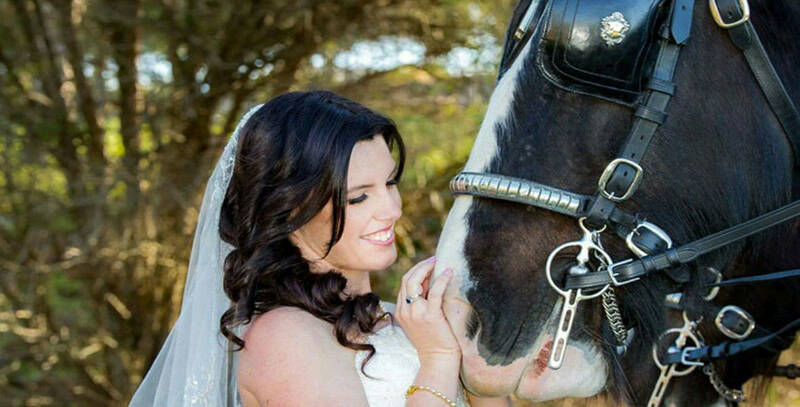 Please remember black horses will enhance your dress in your photographs. 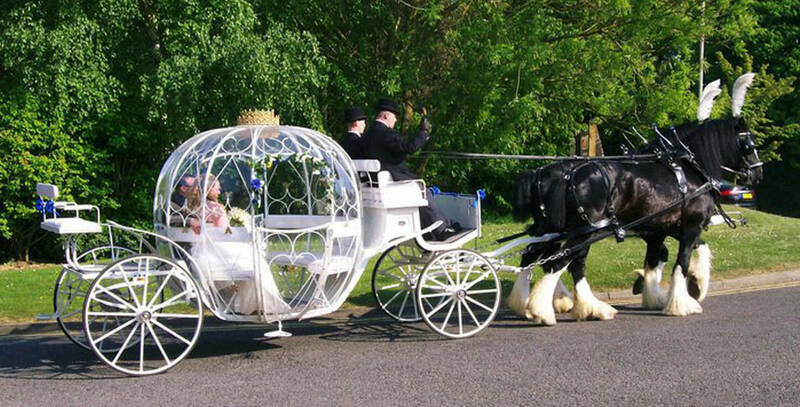 For enquiries  0476 199 826 / 0447 804 344 or complete our Booking Form. 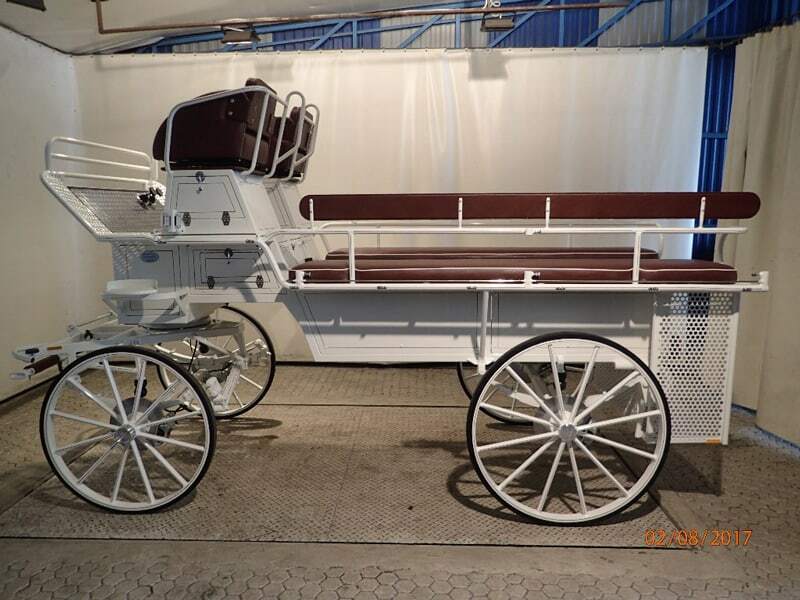 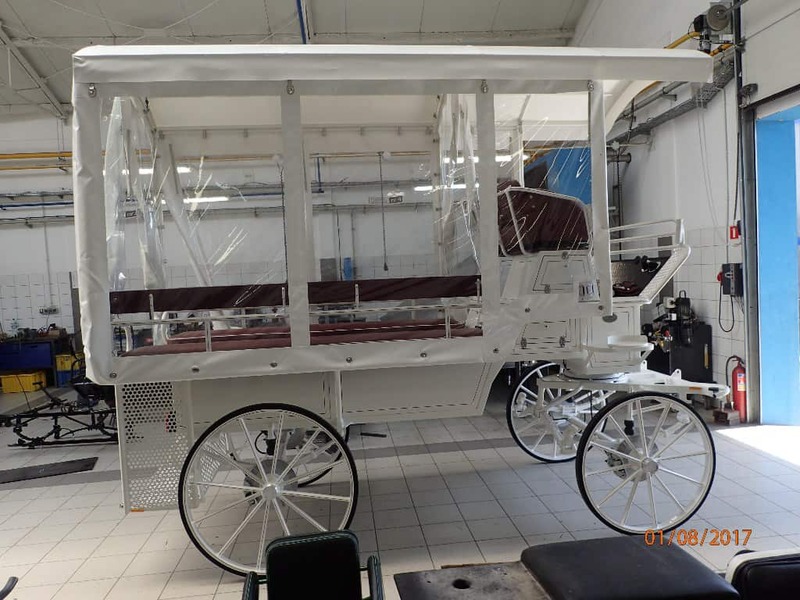 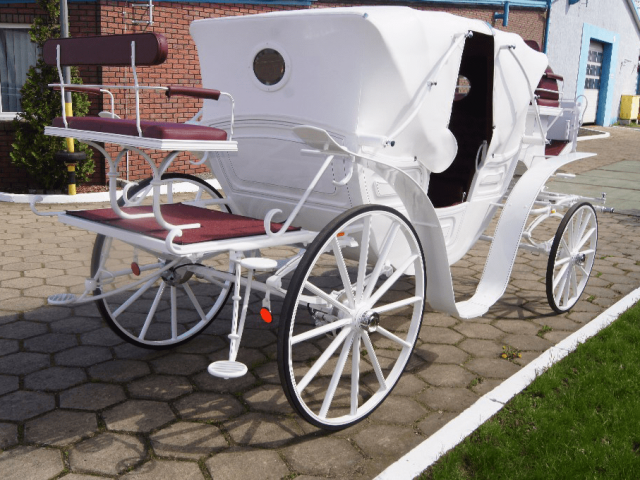 In full white with burgundy leather interior, this carriage is fantastic with its low door so all friends and guests can see you arriving in style. This Vis A Vis carriage can be fully convertible or fully enclosed in under a minute seating 4-5. Stunning Cinderella Pumpkin Carriage arrives with flowers, horses plumes , and coachman’s ties to suit your colour scheme. 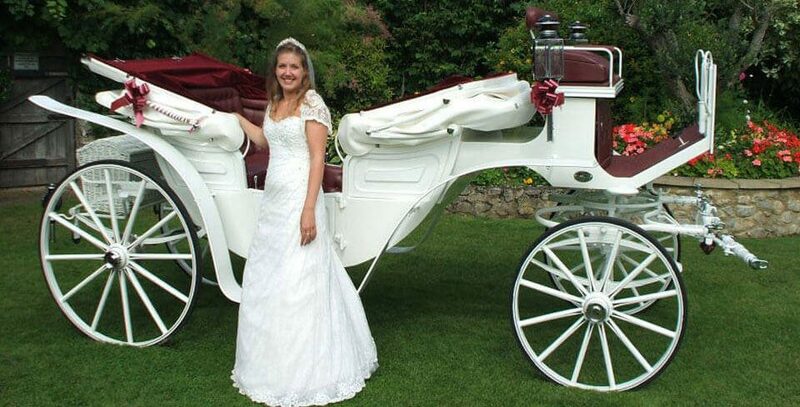 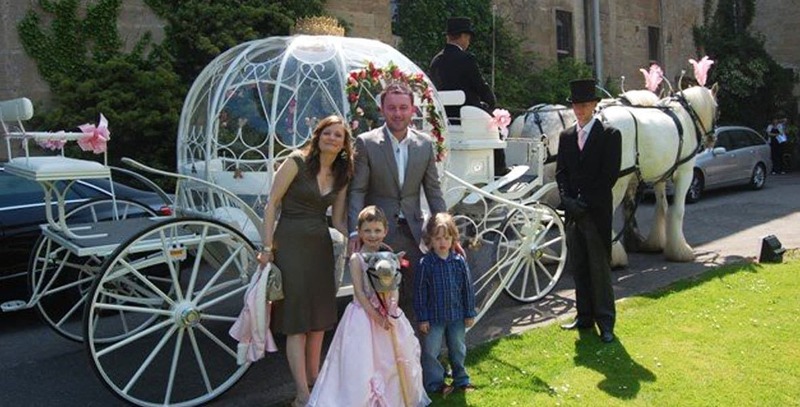 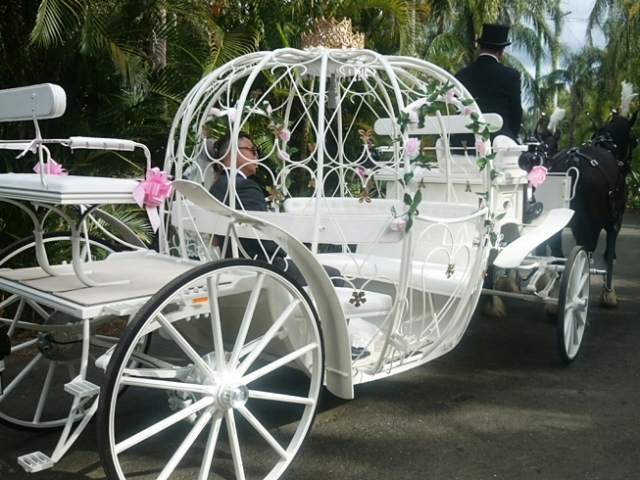 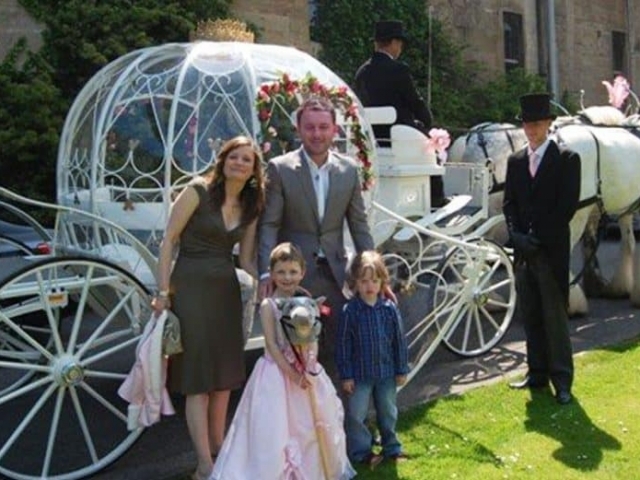 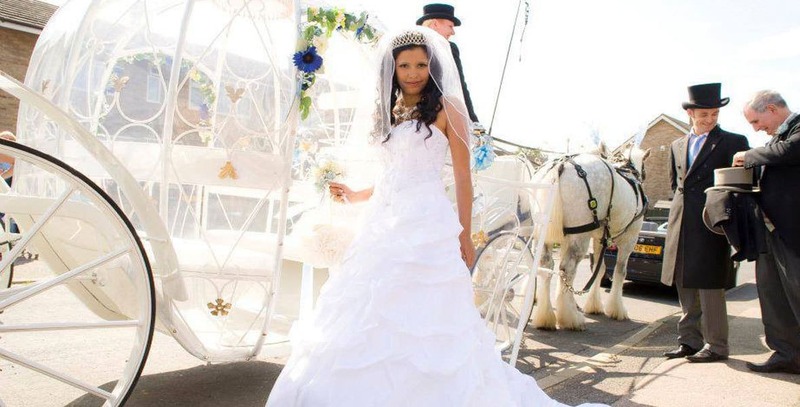 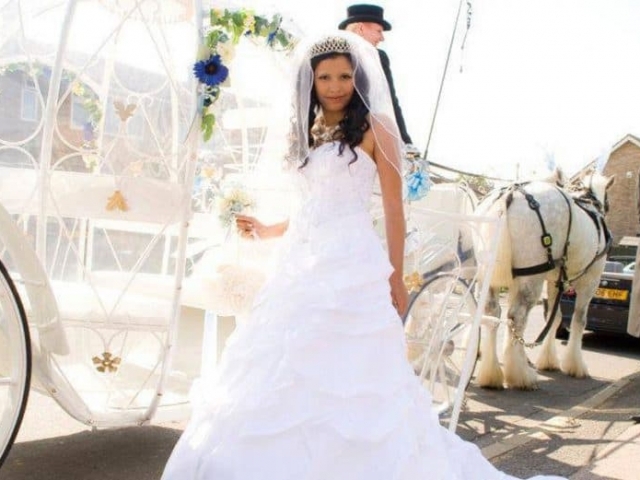 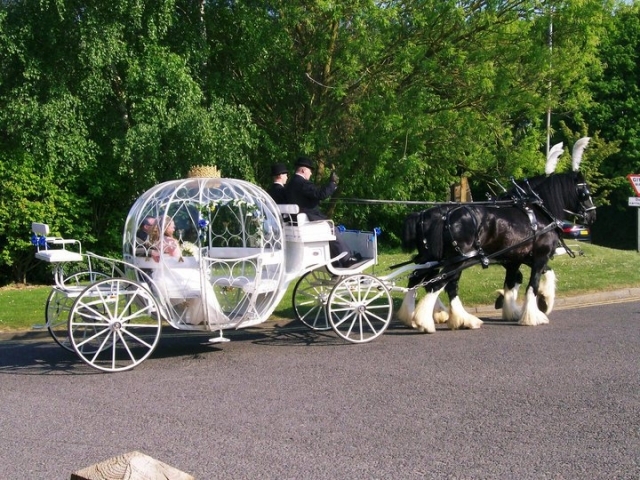 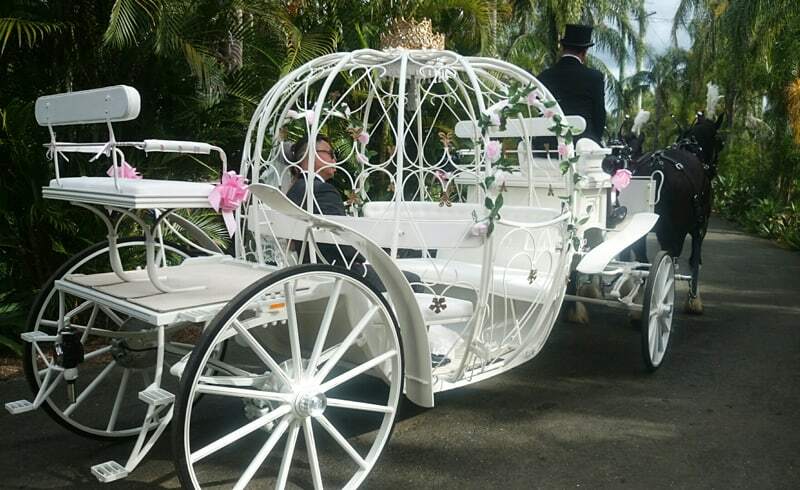 For that extra fairy tale feel to your wedding or special event this carriage comes with fairy lights. 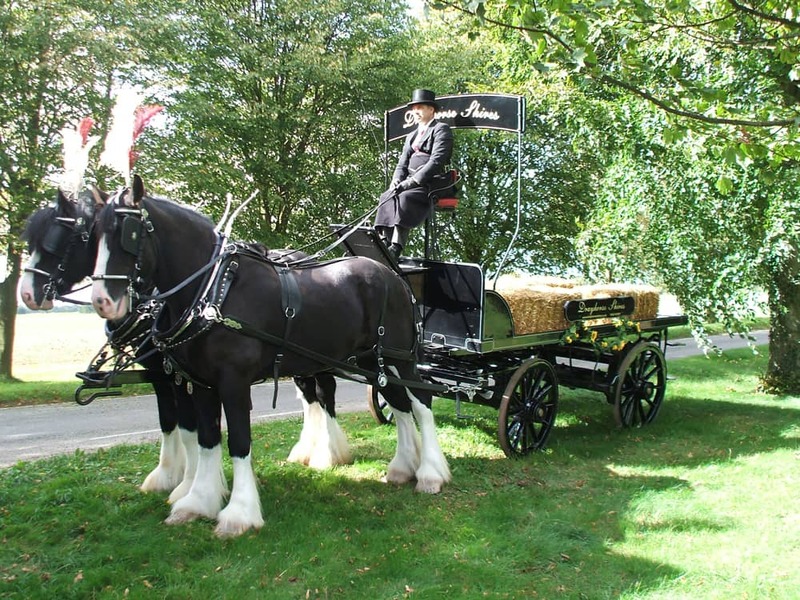 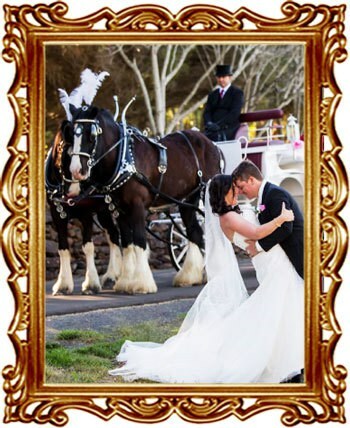 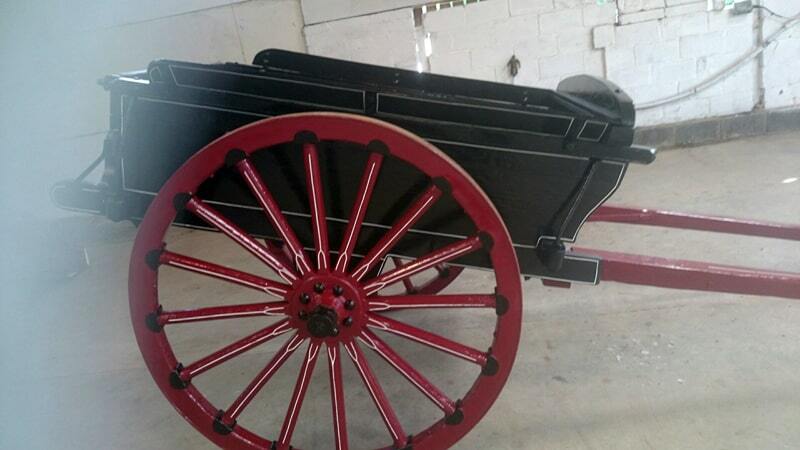 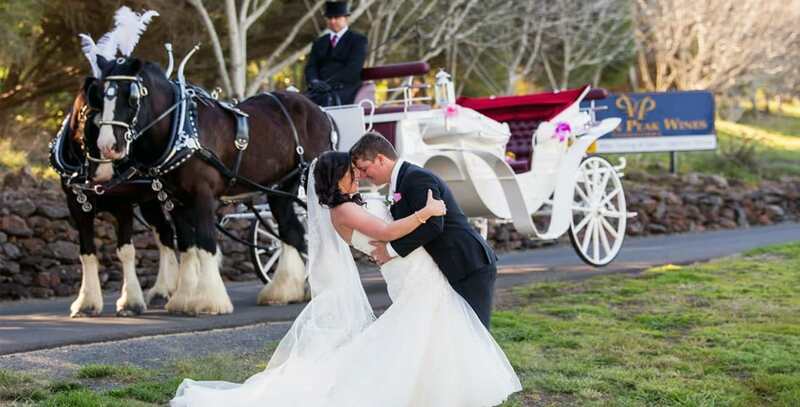 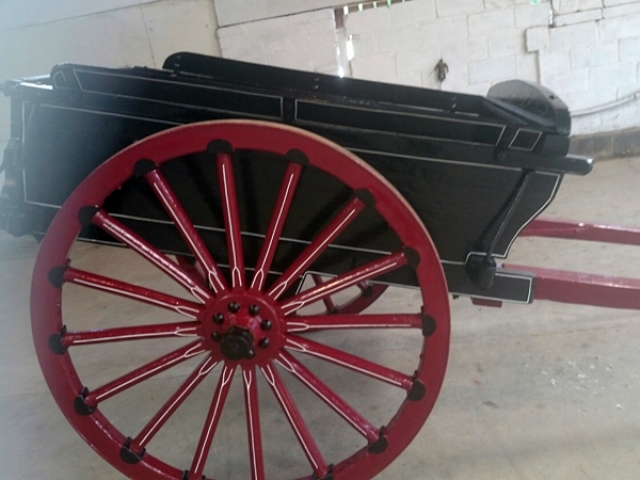 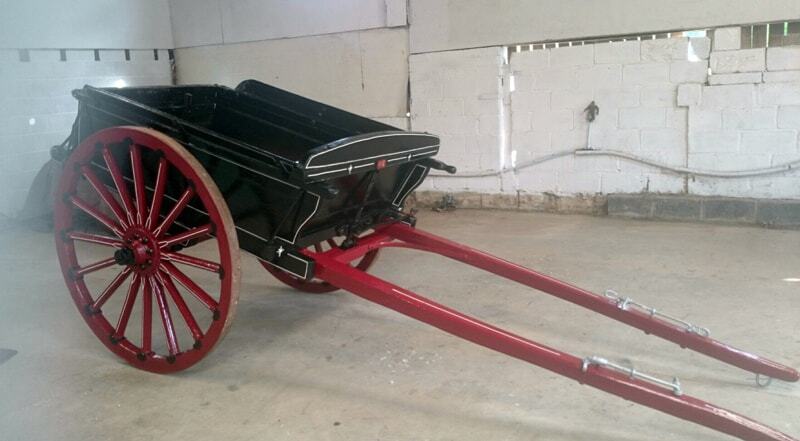 The traditonal Brewery Dray Carriage is ideal for those themed weddings. 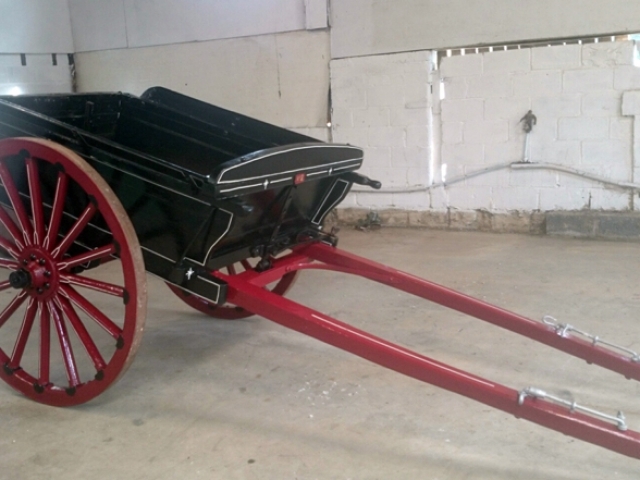 The Brewery Dray is in show condition and can be seen around the country at local shows. Seats 8. 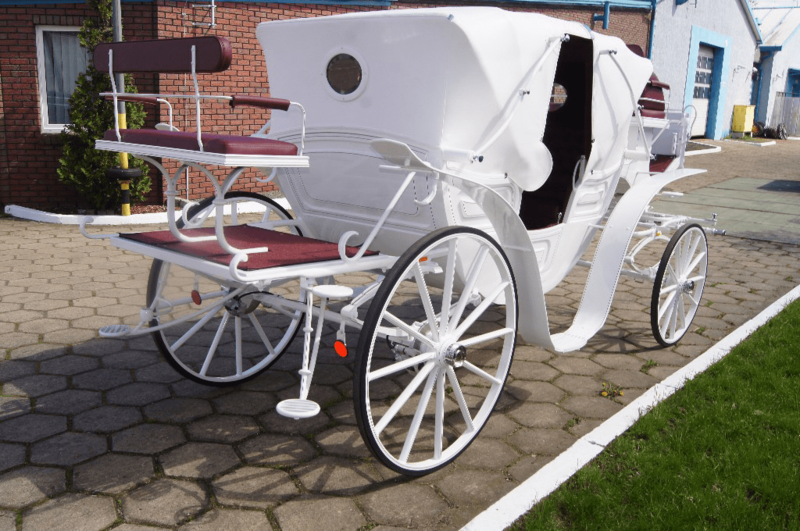 Black High Seat Break seats up to 8 and White High Seat Break seats up to 14 persons.